Can you remember the last time you inspected your commercial property’s gutters? If you can’t remember, we’ll forgive you – but now might be the time to get in the habit of standing outside and looking up! If the early warning signs of gutter problems are making themselves known – like if you’ve noticed visibly overflowing water or damp creeping into the property – then it’s probably a sign that your building’s gutters require commercial gutter repairs. Gutters act as your property’s first line of defence against mother nature – meaning that you need to ensure that they’re always in peak condition, and can’t be compromised by erosion or blockages. By carrying out routine gutter maintenance and regular gutter cleaning, alongside commercial gutter repairs, you can guarantee their performance. If disaster strikes, you need it fixing as quickly and effectively as possible. Our emergency call-out services are distributed across the nation, and can provide businesses with quick and reactive commercial gutter repairs and gutter maintenance, should the worst happen. All of our emergency commercial gutter repair callouts are attended to by one of our fully-trained two-man teams. Our emergency callout teams are qualified to operate a Mobile Elevated Working Platform (or MEWP), which enables them to evaluate the damage and advise how best to proceed quickly. Our teams will document the damaged discovered during the emergency gutter repairs. If your gutters require an emergency call out, you will receive a report (with accompanying images) detailing the work that was carried out, while also highlighting possible future causes for concern within a week of completion. To ensure that our emergency response teams can deal with issues that arise in a timely and safe manner, we ensure that our entire team undertakes regular health and safety training. By participating in repeated training and refresher courses, our teams can ensure that they are well-equipped to deal with commercial gutter repairs, routine gutter maintenance and regular gutter cleaning at the highest standard. Investing in a national gutter cleaning contract could be the key to solving your commercial gutter repair woes. Regular gutter maintenance reduces the likelihood of the problems that lead to costly commercial gutter repairs developing while increasing the longevity of the building’s gutters. Plus, if you struggle to keep up with the maintenance and cleaning that the gutters on your commercial property, then a national gutter cleaning contract is probably what you need. At UK Gutters, our national gutter cleaning contracts let us take care of scheduling biannual gutter cleaning and routine gutter maintenance while giving you emergency callout priority if disaster strikes, and you find your building needing a commercial gutter repair. If your guttering has suffered over the winter, get a headstart on any commercial gutter repairs (as well as organising a biannual gutter clean) by enlisting the help of trained professionals. 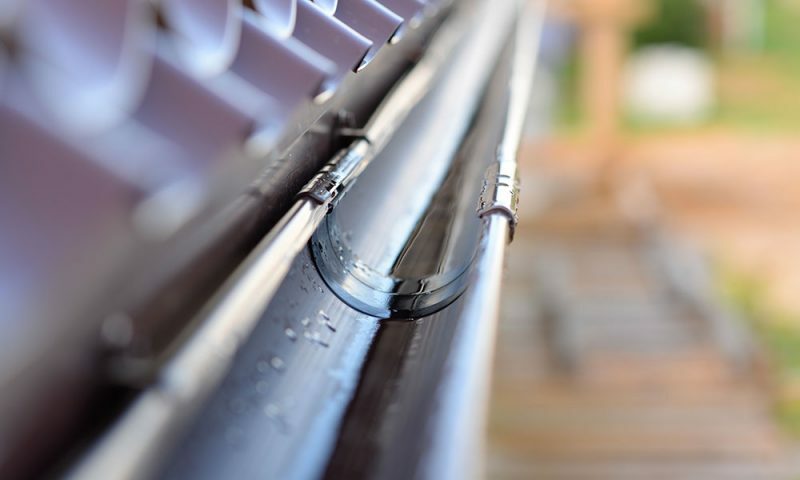 Undertaking regular gutter maintenance can be the key to reducing the likelihood of guttering becoming damaged – making it a worthwhile investment. OUR TEAMS PROVIDE COMMERCIAL GUTTER REPAIRS ON A NATIONAL SCALE, FOR BUSINESSES LARGE AND SMALL! FOR MORE INFORMATION, CALL US ON 0800 046 1376 OR EMAIL US AT INFO@UKGUTTERS.CO.UK.